Marx was nominated for a Grammy Award for Best Rock Vocal Solo Performance ("Don't Mean Nothing"). Marx hit #1 for a week with "Hold On To The Nights." Marx hit the Top 40 with "Satisfied." Marx hit the Top 10 and #1 for a week with "Satisfied." Marx hit the Top 40 and Top 10 with "Right Here Waiting." Marx hit #1 for 2 weeks with "Right Here Waiting." Marx hit the Top 40 with "Angelia. Marx hit the Top 10 with "Angelia. Marx hit the Top 40 with "Too Late To Say Goodbye." Marx was nominated for an American Music Award for Favorite Pop/Rock Male Artist. Marx was nominated for a Grammy Award for Best Pop Vocal Performance - Male ("Right Here Waiting"). Marx hit the Top 40 with "Children Of The Night." Marx hit the Top 40 with "Keep Coming Back." Marx hit the Top 10 with "Keep Coming Back." Marx hit the Top 40 with "Hazard." Marx hit the Top 10 with "Hazard." Marx topped the Billboard Adult Contemporary chart for 1 week with "Hazard." Marx hit the Top 40 with "Take This Heart." Marx hit the Top 40 with "Chains Around My Heart." Marx hit the Top 40 with "Now And Forever." Marx hit the Top 10 with "Now And Forever." Marx hit the Top 40 with "The Way She Loves Me." Marx hit the Top 10 with "The Way She Loves Me." Marx hit the Top 40 with "Until I Find You Again." Marx hit the Top 40 with Donna Lewis with "At The Beginning." Marx won a Grammy Award for Song of the Year for co-writing "Dance With My Father" with Luther Vandross (which was also nominated for Best R&B Song). # 37 on the Top Pop Artists of the Past 25 Years chart. Marx released Night Out With Friends. 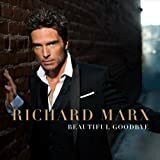 July 8: Marx released Beautiful Goodbye.